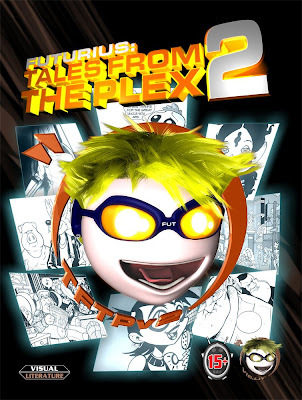 This is the recently unveiled cover of Futurius Tales From the Plex Volume 2, still on schedule for release within the next 8 weeks. We're counting down now as the promotion starts to kick in. The book has been featured twice in large comic book site Silver Bullet Comic Books (this and last week) and hopefully one more time when we launch, while flyers, ads and such will be flaunted around like cheap male floozies in the coming weeks. If you want to advertise in the book (as there's ad space going) then get in touch ASAP. TYPE/MEDIUM: Comic book short story. Drawn by Yui Marr.